Last week I picked up the Alice Walker collection of essays In Search of Our Mothers’ Gardens and reread the very first essay, “Saving the life that is your own: The importance of models in the artist’s life”. I’ve read this essay before, many times, in fact, over the years since I first got the book back when my teenager was a little baby. The essay’s theme, that artists need to have templates to follow in order to live their lives, is one that I have always believed in. The templates are knowledge of the very existence of other artists like them. 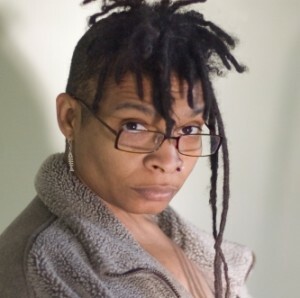 The timing of my rereading of the essay proved prescient, as this weekend I was fortunate to meet a woman writer whom I have admired for years, Nalo Hopkinson. A brilliant writer, Nalo is one of the few Caribbean sci-fi/fantasy writers who have been internationally published. Her first books Brown Girl in the Ring and Midnight Robber are bonafide sci-fi classics. She writes brave feminist fiction; it is outstanding not simply because of its themes and Caribbean characters of colour (and the fact that in speculative fiction black writers are few and far between) but also because she’s a fine writer with a gift for lush, descriptive writing. I treasured the time I spent listening to her and in the writing workshop she gave at the 30th WI Literature Conference, which took place at UWI, St Augustine, this weekend. Here is a writer who more or less forged her way in the publishing world without compromising her vision or her voice. This is a model I would be happy to emulate.